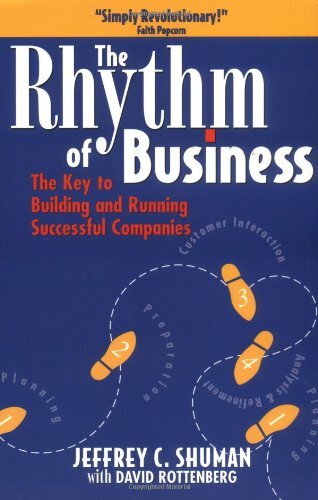 Business is the most practical, down-to-earth business book you will ever read! Jeffrey C. Shuman has crafted a unique career as an entrepreneur, consultant, business professor, and author. He is considered a leading expert in the emerging field of entrepreneurial studies. His courses in entrepreneurship at Bentley College tap state-of-the-art knowledge about business creation. His writings include dozens of articles and a book on entrepreneurs and the business creation process. Shuman is the cofounder and CEO of The Rhythm of Business, Inc. A five-time entrepreneur, Shuman is also professor and director of entrepreneurial studies at Bentley College, Waltham, Massachusetts. Rottenberg is an editor at The Rhythm of Business.